If you have a WMV player or editor like Xbox 360, Zune, Windows Movie Maker, etc., you may want to convert DVD to WMV format so that you can put your favorite DVD movies in your WMV players or editors. If it's the case, then you have full reasons to stop here. In this article, we'll show you how to rip DVD to WMV video files with high output quality and fast conversion speed. There are lots of ways to rip DVD movies to WMV, be it DVD Decrypter, which is open-source but needs you to be kind of tech geek to get DVD movies to Windows Media Player done, or HandBrake, which you can't limit the maximum bitrate causing some skipping on high action scenes. Those are freeware but not that satisfying, right? That's where we come in. To do the conversion, all you need is a DVD converter. 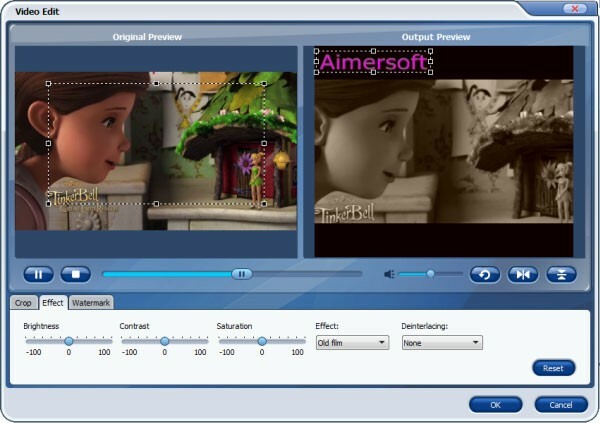 Here the best DVD ripping program from Aimersoft is highly recommended to convert DVD movies to WMV in Windows (Windows 8 included). In addition to WMV, it can also convert DVD to various other popular video formats like MP4, MOV, AVI, FLV, 3GP, MKV, VOB, etc. Furthermore, the built-in video editor lets you trim and crop the files to get the very part you want. If you're using a Mac, simply turn to Aimersoft Mac DVD Ripper to rip DVD movies to WMV on Mac OS X (Mountain Lion or Mavericks). Download the program and finish the conversion in a few simple clicks as followed. Note that the quick start guide below uses Aimersoft DVD Ripper for Windows screenshots to show you how to do the conversion in details. The way to finish the task on Mac is the same. Just make sure you've downloaded the right version. Run the DVD Ripper after inserting your DVD disc into the DVD-Rom. Then click "Load DVD" button to load DVD movies to the program. It also supports DVD Folder, ISO file and IFO file. After the DVD movie is imported, click "Edit" button to open the Video Edit window. You can trim, crop video and also change the effect such as brightness, contrast and saturation. Click Profile and select WMV from Common Video as the output format. If you want to play the DVD movies on your Zune, Xbox 360, etc., you can navigate to find the corresponding icon to get videos with optimized settings for your device. When all settings are OK, click "Start" on the right bottom corner of Aimersoft DVD Converter to start converting your files. 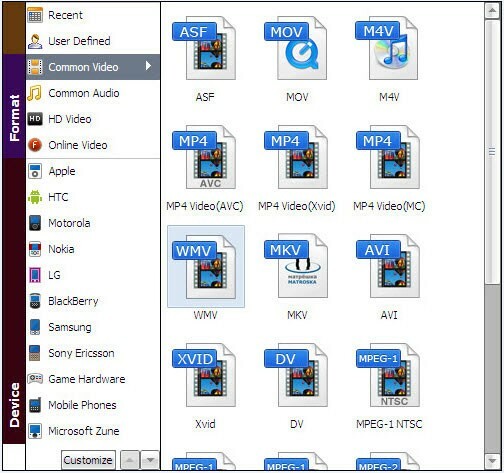 In addition to converting DVD files to WMV, it can also convert to some additional video formats like AVI, MP4, MOV, etc. Nice and powerful! Hello, please update your program to the latest version. We're upgraded it to well support OS X 10.8 Mountain Lion. Hi, I just updated my Mac OS and Aimersoft DVD Ripper for Mac no longer works on OS X 10.8. It used to convert DVD to WMV on my Mac well. Can you help you solve my problem? Thanks in advance! For ripping DVD movies to WMV on Mac, I’ve found this is the best solution. Though sometimes it crashes, it has helped me converted hundreds of DVD movie to WMV on my Mac. This software can convert DVD to WMV and more. If you have lots of DVD movies, it can be a good choice to turn your DVD into digital copies in various formats. Thank you for your question. Our software is 100% safe to download and is free from viruses. Please don't worry about that. Is it safe to download it to my computer? I once downloaded a software with viruses. Hi, for your case, would you please update to the latest version of Aimersoft DVD Ripper and make sure your DVD plays well on your computer and can be well previewed in the program? Then set the output video resolution as Keep Original for a try. Meanwhile, click Edit > Effect and select one deinterlacing mode except None to remove the lines in the output video files. 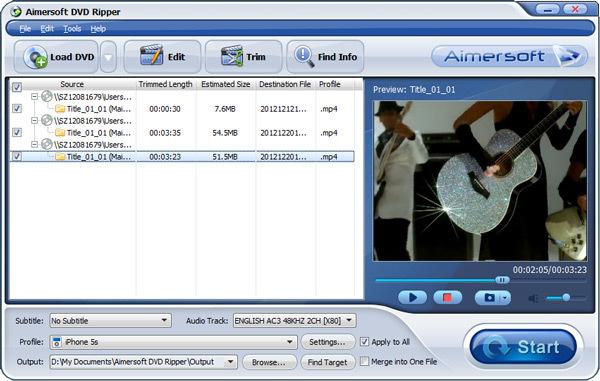 Hi, I use Aimersoft DVD Ripper to convert my DVD movies to WMV. However, the output video quality is very bad with some lines. How to fix it? I want to convert my DVD to WMV with the same quality as the original DVD. This DVD ripper is great. I select HD WMV as the output format and the video quality is marvelous!